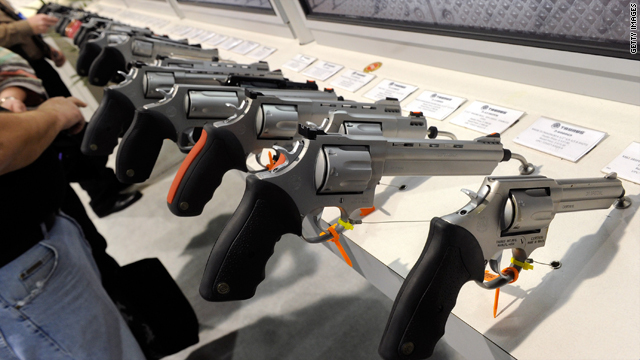 Why is support for gun control at record lows? More Americans are against gun control than ever before. Gallup's annual crime poll shows support for various gun-control measures at historic lows - including the ban on handguns. Only 26% of Americans - a record low - now favor a handgun ban; that's down from 60% when Gallup first asked the question in 1959. Also, the poll shows that for the first time, there's more opposition than support for a ban on semiautomatic handguns or rifles - 53% to 43%. In 1996, these numbers were nearly reversed. Congress passed a ban on assault rifles in 1994, but the law expired in 2004. Overall, support for making gun laws "more strict" is at its lowest ever, 43%. As recently as 2007, a majority of Americans favored stricter laws. * It's worth noting the growing opposition to gun control shows up among all groups. * Only Democrats, Eastern residents and those without guns in their homes still favor stricter gun laws. And there's not a single group with a majority in favor of the handgun ban. What's interesting here is Americans are shifting to a more pro-gun stance despite high profile incidents of gun violence - like the Arizona shooting of Rep. Gabrielle Giffords and 18 others. Gallup suggests the reasons for this trend don't appear to be related to crime or to an increase in gun ownership. Instead, pollsters say the trends may reflect a growing acceptance of guns and support for the Second Amendment. What was it then-candidate Obama said in 2008? That when people in small towns lose their jobs they get bitter and "cling to guns or religion." Here’s my question to you: Why is support for gun control at record lows? 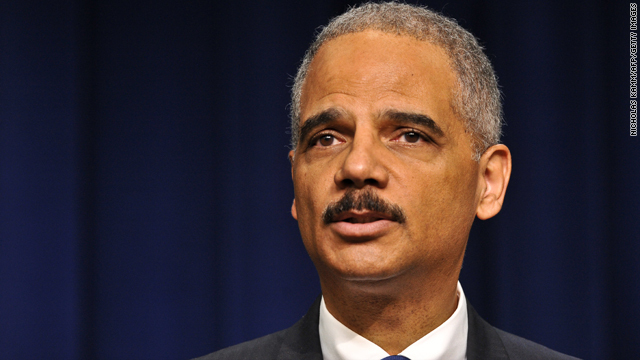 Time for Attorney General Holder to resign over Fast and Furious gun scandal? It was curious timing for the administration to announce the details of that Iranian terror plot yesterday. The news conveniently took the focus off the growing scandal surrounding Attorney General Eric Holder and the federal gun-running operation, Fast and Furious. President Obama was reportedly briefed on this supposed terror plot back in June – but the feds chose yesterday to go public with it. When Attorney General Eric Holder was asked about being subpoenaed over Fast and Furious, he abruptly ended his news conference on the terror plot. But terror plot or not, this story isn't going away. Congressional investigators have issued a subpoena. They want to get their hands on communications from top Justice Department officials including Attorney General Eric Holder. The head of the House Oversight and Government Reform Committee, Republican Darrell Issa of California, says "it's time to know the whole truth." Issa says holder has made "numerous statements" about the program that have "proven to be untrue." Translation: Holder's lying. 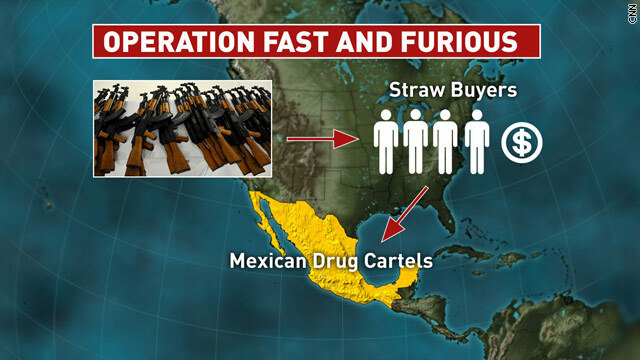 Fast and Furious allowed illegal guns to "walk" from Arizona gun stores into Mexico. The idea was to track sellers and buyers of guns to the Mexican drug cartels. But, it all went wrong when weapons found at Mexican and American murder scenes were traced back to the program. In fact, two of the guns linked to Fast and Furious were found at the scene of the murder of a border patrol agent. Holder testified in may that he only found out about the program a few weeks before then. But Republicans point to Justice Department documents that show Holder knew about it much, much earlier. Here’s my question to you: Is it time for Attorney General Eric Holder to resign over the Fast and Furious gun scandal? 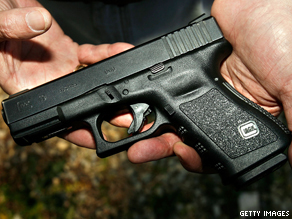 Tucson tragedy enough to change gun laws? It's a debate almost as old as the country itself: whether it's a good idea for private citizens to own guns. And when something like the Tucson massacre happens, the debate roars to life all over again. It was remarkably easy for the shooter - Jared Lee Loughner - to get his hands on a gun in Arizona, which has some of the laxest gun laws in the country. The 22-year-old passed an instant background check in a sporting goods store before purchasing a Glock 19 - a 9mm semi-automatic pistol. He also bought an oversized magazine that allowed him to fire 33 shots without reloading - instead of the standard 10. Some lawmakers want to ban these oversized magazines nationwide. They're already outlawed in at least 6 states. But not Arizona - where a recent law allows anyone over 21 to carry a gun without a permit. Guns are allowed almost everywhere in Arizona - including the state capitol, many public buildings, in places that serve alcohol and on school grounds. Meanwhile, by many accounts, Loughner is being described as mentally unstable and someone who should have never been allowed to buy a weapon in the first place. He failed the "drug screening process" for the military and was rejected. Loughner had five run-ins with his Community College police before he was kicked out of school for disruptive activity. But instead of becoming stricter, the nation's gun laws have actually become more lax in recent years. Examples include the removal of Washington, D.C.'s handgun ban and an amendment to allow gun owners to carry concealed and loaded weapons in national parks. Here’s my question to you: Should the Tucson tragedy be enough to change the nation's gun laws? Some members of Congress to carry guns? In light of the tragedy in Tucson and the attempted assassination of a sitting member of Congress, some lawmakers are taking matters into their own hands. They say they plan to carry guns in public in their home districts. Republican Congressman Jason Chaffetz of Utah tells CNN he's always had a concealed weapon license and has often carried a weapon, but says now he may "do it more regularly." Chaffetz says he's already gotten half a dozen threats that have caused him to call the capitol police or local law enforcement - and that's after only 2 years in office. He also thinks Congress should consider using the U.S. Marshals service to provide security for lawmakers in their districts - like they do for federal judges. Politico reports that Democratic Congressman Heath Shuler of North Carolina also plans to carry a gun more often and increase security in his district. Shuler is even encouraging staffers to get their own permits to carry a gun. Shuler was the victim of a serious death threat a couple years back. 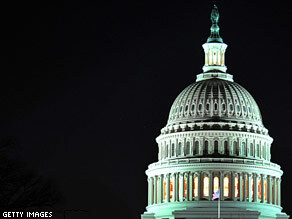 Other lawmakers are taking steps to tighten security in their offices. Some suggest that local law enforcement could play a larger role at events like the one where Congresswoman Giffords was shot or at town hall meetings. But - other members of Congress say they won't change their lifestyles at all. They say they'll continue to engage their constituents and offer full access. Here’s my question to you: What does it say about the U.S. that some members of Congress will now be carrying guns?